Back in the Fatherland after a really nice couple of days in Abu Dhabi for Brave 4: Unstoppable. First and foremost, it was a really well-organized and well-executed event with a distinct international flavor and a feeling of grandeur. It is amazing how HH Sheikh Khalid bin Hamad Al Khalifa, Mohammed Shahid and their team are transforming a very ambitious and unique vision into reality with only four events and less than one year of experience in the Mixed Martial Arts space. I am excited to see where they will be one year from now. On the sporting front, we can be very happy with our performances, taking home two wins from two matches. 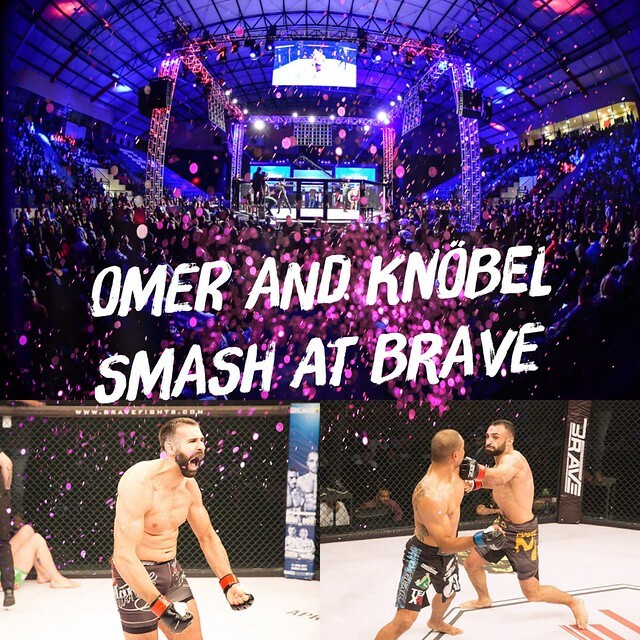 Planet Eater’s “Flying Gorilla” Marco Knöbel started the night with a dominant showing against the 2015 IMMAF European Open Champion Ben Forsyth. Marco gave the SBG Ireland product zero chance, rocking him multiple times before taking his back and choking him out right in front of McGregor coach John Kavanagh in a little more than ninety seconds for the flawless victory. I firmly believe that Marco is the best light heavyweight in German-speaking Europe right now and I’m 100% certain he will continue to turn some heads in the months to come. Alan Omer made a successful return to the lightweight division and scored his twentieth professional career victory, joining a very small elite group of German fighters to achieve that milestone, with a hard-fought victory over a tough-as-nails UFC veteran Robbie Peralta. After a bumpy start into the fight, Alan shifted up a gear in the second stanza and dominated the standup, clinch and ground fight. After roughing up the Californian with a barrage of knee strikes against the fence, he was able to take down, punish and choke out a visibly overpowered Peralta fifteen seconds before the final bell. It was only the third time Peralta had been submitted in twenty-seven professional bouts.